You open up a fresh Google Doc. Your hands hover over the keyboard as you stare blankly at the bright white page staring back at you. When you do finally get some words on the page, you find yourself walking a tightrope between arrogance and low self-esteem. How do you strike a balance in your copy? Copy, like many skills, is one that can be learned. And rocked. Before creating my own copywriting agency, I had NEVER considered myself a writer. But when I entered the online business world, I quickly realized the success of my company would depend on my ability to write and communicate. I knew that if I didn’t know how to communicate to the masses in a way that made them stop and say, “She gets me!”, then I wouldn’t be able to get my message out, help more people, AND grow my business while doing so. Along the journey from being a “stare at the screen and not know what to say therefore close my Macbook and hope that inspiration magically strikes me to write compelling copy” kinda gal, to founding the top copywriting agency in the personal development and business development space… I learned A TON. 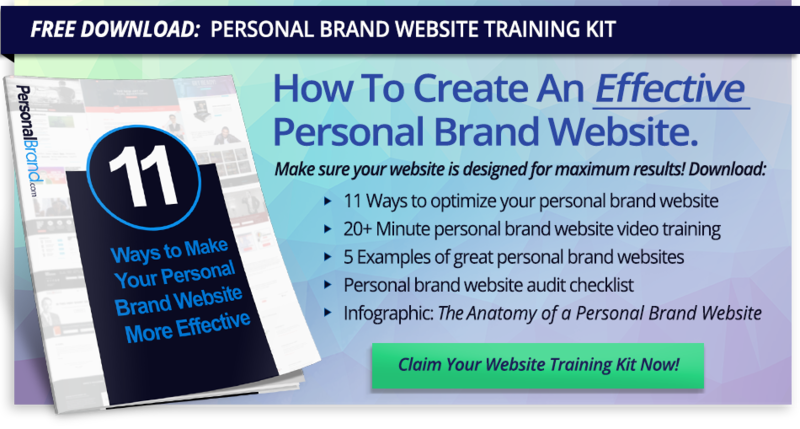 Here are the top 5 mistakes I personally made, and that many of my clients come in making, that holds them back from TRULY standing out with their personal brand. They assume the way they see the world is how everyone else sees it. They don’t fully understand the other person’s view of the world, so they don’t know how to help them expand it to see their point of view. The goal isn’t for customers to understand you, the goal is for them to feel understood. How you do this? Talk like they talk. Or, in this case — write like they talk. For example, if you’re in the health and fitness industry, you may catch yourself using industry jargon like body fat, macros, and specific names of vitamins and nutrients without realizing your customers don’t actually use these words. Show that you understand them by speaking their language in the simplest and clearest terms. Before: Lose body fat and decrease your measurements. After: Fit into your high school jeans again. See the difference? When you show you understand your audience by connecting with them through their own words, and saying it simply and clearly, you can quickly build rapport, spark connection and interest, and become more persuasive. Don’t leave it up to guesswork. When one of my team members, Caty and I attended an event I was sponsoring and speaking at, we had the perfect opportunity to connect with our ideal clients in real time. As people came up to our booth, Caty took notes of what their problems were in their own words. When we create our services, products, and ads, we use that language in our copy. Engage your prospects and customers by asking them questions. Ask them to reply to your emails and share their experiences. Interview them and do case studies. Then, use their words to fuel your copy. The online world evolves so fast that it’s hard not to get caught up in the whirlwind of changes and flung off course. Everywhere you look, there’s a new marketing ad, book, webinar… all pointing to the “latest and greatest” tactic or push-button technology. We have tons of clients that come to us worried they’re already behind because they don’t have Facebook, Snapchat, SEO, and every other software technology out there. Now, these platforms CAN amplify your marketing efforts and yield great results. But, if you don’t have a solid strategy that is tried, tested, and PROVEN to work… then, it’s like trying to get a fire lit by pouring water on it instead of gasoline. Get the research down by understanding consumer psychology – their frustrations, desires, and goals. Once you know the words they use, get your messaging down through your copy. Then, find the best social media platforms to share your message. Have you ever gone on a trip just to ride an airplane? You got on the airplane because you wanted to go somewhere. Your product or service is like an airplane. It gets your ideal client to their ideal destination. If your sales copy is filled with all the features of how awesome your product or service is, then you’re selling the plane. Sell the destination by focusing on how it can help your ideal client or customer get to where they want to go. Frame it in a way that focuses on the benefits the customer will receive — or even, the benefits they will miss out on if they don’t take immediate action and miss the opportunity to take you up on your offer. Ever get asked that dreaded question, “What do you do?” to which you fumble on your words and talk yourself into circles hoping that something you say will actually make sense and resonate? You know that you can help your prospects better than your competitors can. But, if your competitors can explain what they do, and how they do it, better then you… they’ll beat you out of the sale. Get clear on HOW you can help your customers by listing out all the benefits you possibly can. 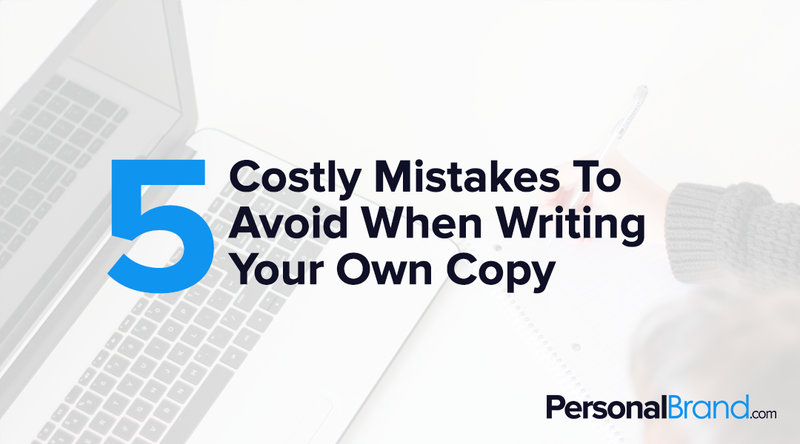 With these valuable insights, you’ll never have to sit down to a blank page and mind again. You’ll have an abundance of thoughts, emotions, and action drivers to pick from to craft your copy with words that speak straight to the heart and spark the sale. We hope you enjoyed this article. Follow us on Facebook, and Twitter for updates every time we publish! Subscribe to our newsletter and join our Personal Brand Builders community for the latest and greatest tips, strategies, and advice for building your personal brand. Jennifer is one of the most sought after email copywriters in the online marketing space, writing copy for 6 and 7-figure campaigns. The top information marketers and influencers in the world, including: Joe Polish, Dean Graziosi, Eben Pagan Training, Bulletproof Coffee, Bedros Keuilian, Sally Hogshead, Chalene Johnson and many others, hire Conscious Copy to help them build out their strategy and craft results-driven copy that converts cold leads into raving fans. Jennifer has also spoken on stages alongside as Lewis Howes, Russell Brunson, Russ Ruffino, Keith Yackey, Chris Record, and many others. Many refer to her as the modern day muse for entrepreneurial leaders, helping them get clear of the message that they need to amplify out into the world.